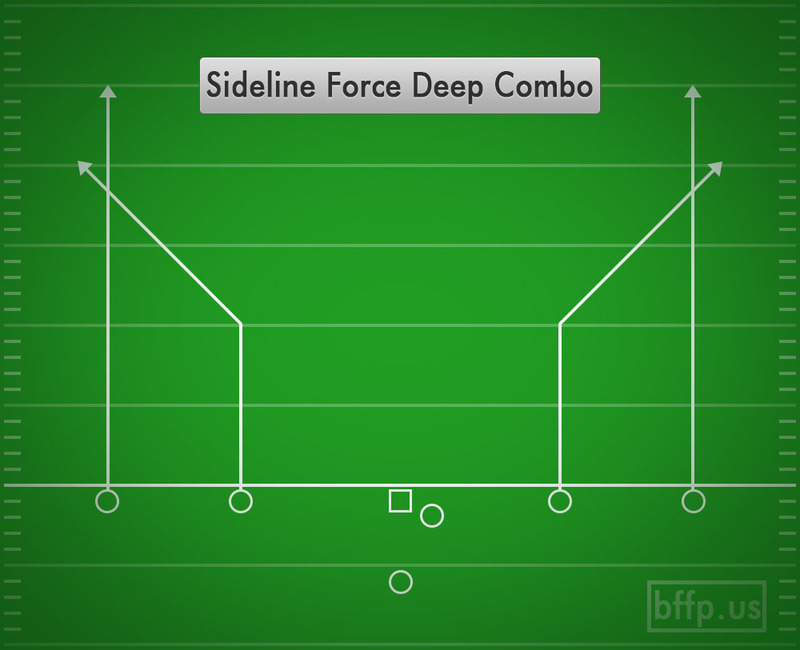 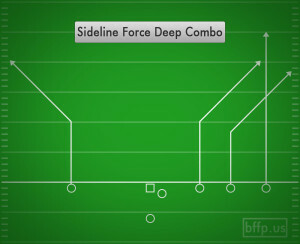 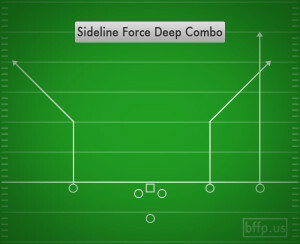 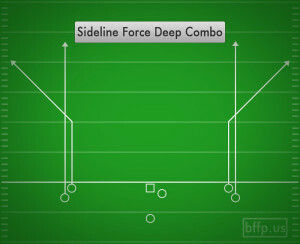 The Sideline Force Deep Combo play is the deep version of the Sideline Force Combo play. 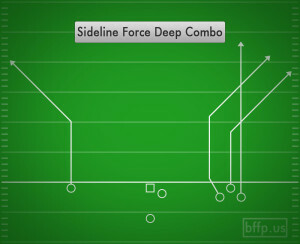 The purpose of this play is to get the Wide Receivers in close proximity to the sideline while running deep downfield. 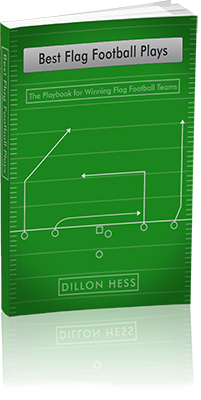 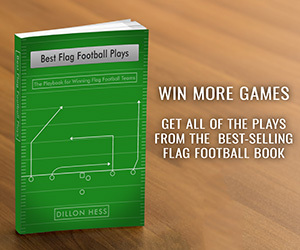 This play is very effective when you need to manage the time on the clock because it allows the Receivers to quickly get out of bounds after the catch the ball.